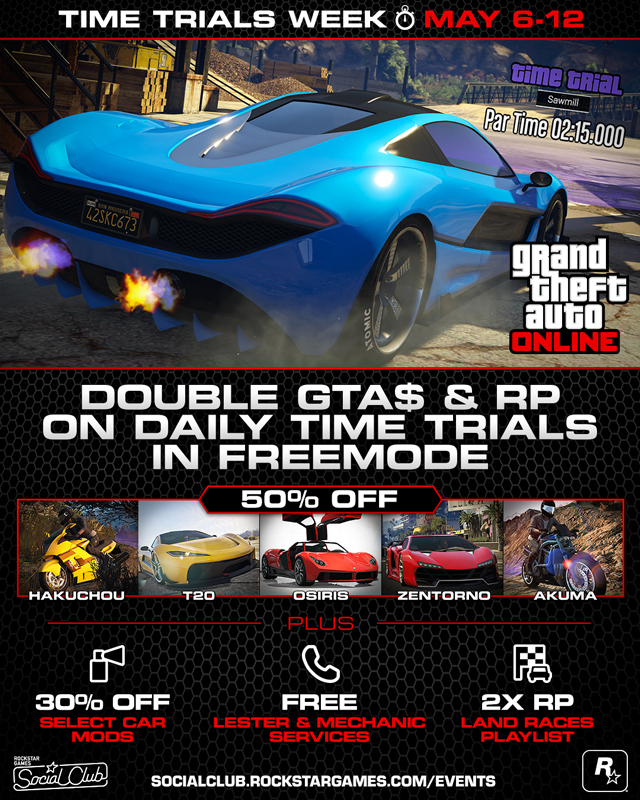 There's no mistaking that Time Trials are some of the toughest solo challenges in GTA Online; every millisecond counts when dashing for that par time, so do yourself a favor and take advantage of 50% off some of the fastest, slickest wheels in Southern San Andreas. The T20, the Zentorno and the Pegassi Osiris are all discounted, giving you every opportunity to beat the clock. If your preferences lie with the two-wheeled racing variety, or if the terrain between you and the finish line doesn't lend itself well to fully slammed Super cars, then here's your opportunity to add the Hakuchou and Akuma to your vehicle collection at a sweet 50% off. Prep your wheels of choice to get them road-worthy for the Trials ahead with 30% off Engine mods, Brakes and Suspension - each of which will boost the stats of your ride. For good measure, Los Santos Customs are also discounting Stock and Chrome Rims - no performance boost there, but you'll look damn good. Lester's nifty services - Cops Turn Blind Eye and Remove Wanted Level - and the handy Mechanic Service for property owners are completely free to use this week. Call them in to help make road navigation that little bit easier, while maneuvering your way to the start or finish of each Time Trial. 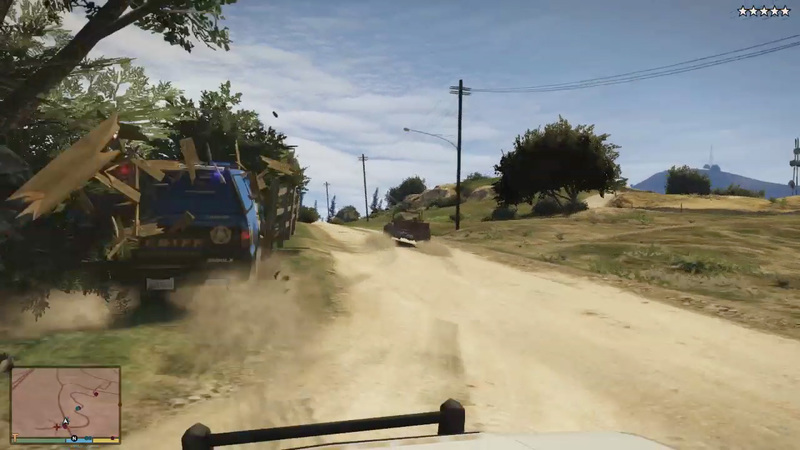 There's also Double RP to be gained in this week's Playlist on Land Races, with Bike-focused Touch Base (racing from the Galileo Observatory to Fort Zancudo), Sports-geared On the GOH (taking on the Great Ocean Highway) and Off-roading in Turn the Tide (from the Great Ocean Highway to Paleto Cove). Simply hit the prompt button in the GTAV launch screens to jump straight into the racing action, or if you're in-game already, you can find the Playlist in the Rockstar Playlists section of the GTA Online pause menus. Have fun and hit up the forums! GTA Online Time Trials Week - Because you need more bonuses and discounts. Time Trials Week focuses on driving fast.